The Littlelife toddler backpack and reins is a dual purpose child accessory aimed at early walkers who are just beginning to find their feet and may still be prone to bumps, falls and of course, escaping from our clutches. The backpack itself is made from strong and durable nylon that will withstand a hell of a lot of typical toddler abuse. We have used ours several times a week for over a year now and it still looks as good as new which, when you’re paying £20 for a backpack aimed at 1-3 year olds, is very reassuring. Moreover, we haven’t just used this to toddle around a shopping centre (although it is equally good at that). 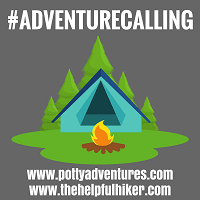 Being a family interested in getting into the outdoors, camping, music festivals and the like, we have really put this product through its paces. Jesse, for instance, loves water. When we go on woodland walks in and around streams he loves to explore the shallows of the moving water to splash around and sail stick boats. Of course, like most toddlers he also wants to kick and jump in every single often muddy puddle that we meet along the way. We are also not just a fair weather family so this pack has also been out in the wind and rain and, as yet, we haven’t managed to totally saturate it, meaning the small amount of contents that you can fit inside it have all stayed dry. Being made from a robust nylon also means that this cleans relatively easily too, so when he does inevitably lose his footing and slide on his bottom down a muddy bank it doesn’t take too much effort to have it looking like new again for the aforementioned trudge round the shops. A strong plastic D ring and clip is used to connect and disconnect the rein strap to the bag meaning that as your toddler gets a little more confident or their surroundings enable them to run free without hindrance or danger, you have the ability to set them free (until further notice). 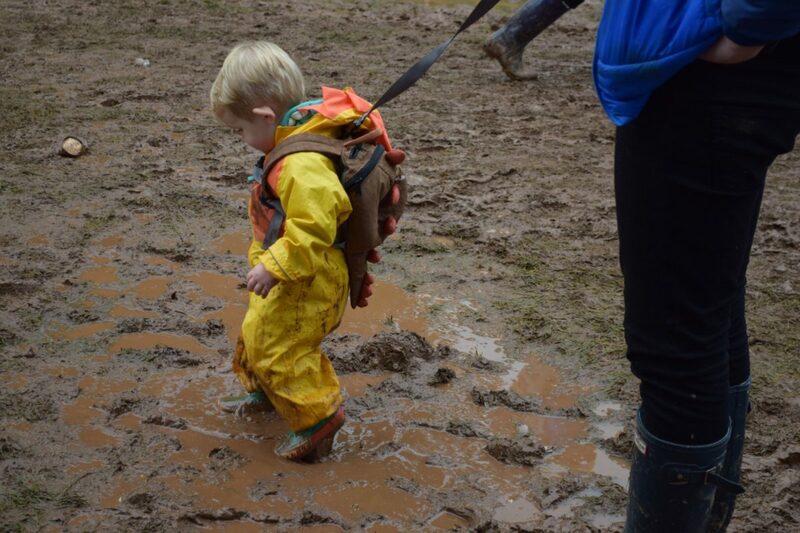 The strap is just under a metre long which is a great length for us as loose he is able to feel independent (and we don’t get that classic toddler yell of ‘no Daddy/Mummy’ when he feels we are too close), but it can easily be wrapped around your hand to tackle muddier banks or trickier descents. The double stitching around the handle is also very strong and never given us any cause for concern. The shoulder straps are equally strong and durable and have a good range of adjustability meaning that it really should last as your child grows. It also has a chest strap further securing the bag to the child which really works well, particularly when they fall forward and you are called upon, Superman-like, to stop them hitting the deck. Just the concept of them carrying a bag is, in our eyes, a great one. He might not carry very much: his teddy, a couple of cars and a pack of raisins, but he enjoys the responsibility and ownership he’s got over his favourite things. And with a 2L capacity it’s got just enough room for them without them ever being over-burdened. Overall, this is a great bit of kit that has proven to be strong, durable and fantastic for really busy environments such as music festivals that we have been to, as well as our weekly outings to woodlands, rivers and streams. They also come in a range of child friendly designs including the dinosaur that we have, a ladybird and even a Spiderman theme. And yes, it does have that all important name and address label on the inside. Highly recommended for little explorers who are prone at running away and falling over. We got more than a few comments on using a “leash” for kids. Of course, the comments usually came from those without kids. They’re definitely handy in malls and airports when they want to walk on their own and you can’t chase them. Haha yes we did too. I remember being in Barcelona last year and a group of teens asking if they could take a photo of my ‘kid on leash’. Like you say though they are invaluable for certain situations and environments.